House sitting may be on the usual Workaway basis of up to 25 hours/week in which case I would leave food and money for food or you could choose to do less and provide for yourselves, or indeed a bit of both! We would agree this in advance. We need, however, to be sure that housesitters can cope with the demands of the property and the 2+km steep track to the town. There are no immediate residential neighbours and most helpers would prefer to come with a partner or friend. The house is small and organising dates to suit can be difficult so please be as specific as you can when contacting us. Please also indicate what skills you have or your ability to do demanding physical labouring! *️️️️️️️️️️️️️️️️️️️️️️️️️️ The property is a steep 2km walk up from Taggia old town. There are no immediate residential neighbours and the place may seem feel too isolated for some people. We love tranquility of it. It is usually best suited to couples or two travelling friends. Please look at our references. *️️️️️️️️️️️️️️️️️️️️️️️️️️ The house is small so we generally don't have more than two people at any time and frequently you would be the only one. It probably best suits couples or two friends. *️️️️️️️️️️️️️️️️️️️️️️️️️️ We require you have your own insurance if not from the EU. *️️️️️️️️️️️️️️️️️️️️️️️️️️ Our access is a demanding track so please check with us if you plan to bring your own vehicle. You can see a video of the access road on YouTube The Road to Canelli! *️️️️️️️️️️️️️️️️️️️️️️️️️️ You will have limited internet access - email, travel arrangements, brief Skype calls, etc. but not uploading/downloading photos, videos, etc. This can be done in the bars in Taggia. We are committed to the whole philosophy of Workaway, want helpers to enjoy their time with us and have made life-long friends. Please see our references! We have a small olive grove - Our knowledge of oil production is derived from our neighbours and we are learning. We have a hectare of land which is a bit beyond what we can manage given that we don't live there and have jobs, etc. We are not certified organic but try to be ecologically sound - have solar power, don't use insecticides, compost, etc. Our neighbours are harvesting our trees this year and you may be able to join in for a genuinely Ligurian experience! Sue is a retired teacher originally from New Zealand. We do not live here all year and come back and forth from London regularly. We all love cooking and will treat volunteers well! We have a swimming pool and are about 4 km from the sea. We receive a lot of requests and will respond asap as we understand the importance of being able to plan. It would be helpful to give specific dates if possible. Although not Italian we are well integrated into the local agricultural community, have a good knowledge of the history and issues of the area, etc. We are the only foreigners in the area and have only Italian friends. Please see our references! Workaway benefits both hosts and helpers and we are very grateful to have had really fantastic helpers. Please note that we attempt to be responsible hosts and we require you to have personal insurance if you are from outside the EU. We also require you to give us next of kin details. We have a lovely house which has one bedroom and a downstairs double sofa bed. We also have a self contained cabin with its own toilet and shower. Our limited accommodation means we have to plan carefully. We have bicycles for your use and there is an excellent cycle track along the coast. Please ask. You may wish to see our closed Facebook group which gives a good flavour of the place and contains lots of contributions from previous workdays and volunteers. We don't ever have groups of helpers because we cannot accommodate many. It is usually best to come as a couple or with a friend. Sue is a wonderful, knowledgable host with a full library and Tom Cat collection (cute cats everywhere). She goes out of her way to give you the full Ligurian experience through her cooking, books, and acquaintances. We conducted various tasks around the house such as spring cleaning, gardening, collecting kindling, etc.. The surrounding area is… read more beautiful with a quick ride down to town you can enjoy some Gelato and an ocean view (the ride back is harder.) If you are looking to get a taste of Italy's culture, this is the place to be ... Thank you Sue! It was a pleasure to host Nora and Grant. They have a very positive attitude towards everything, are open-minded and keen to learn new things. They are very thoughtful, appreciative and make the most of the opportunities offered. They have excellent communication skills and making arrangements was very easy. It was a shame that I couldn’t host… read more them for longer as they would have liked but during the time here they made a real difference. Unfortunately the weather was not as good as we expected but they made an excellent job spring cleaning the house. They also did a whole variety of outdoors chores, planted up pots, cut and tidied prunings, fixed the garden chicken defences, weeded and lots else. I strongly recommend them to other others and wish them luck with their future endeavours. It was a real pleasure to spend time with Sophie and Matt. They have a very positive attitude towards everything, are proactive, intelligent and make the most of the opportunities offered. They are exceptionally easy to host! They were here for two weeks and did a lot in that time. Unfortunately I was not able to share many gardening skills… read more with them as they are eager to learn. 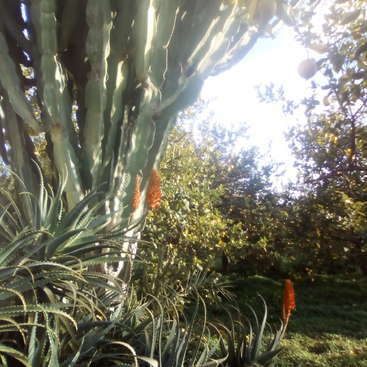 While here they undertook plumbing jobs, tidied and cleaned all the olive nets (a big monotonous job), cleaned the filthy goat shed, pruned the kiwi, replanted young trees, cleared weeds and much more. They were a great help.They never turned any job down no matter how unpleasant. I cannot recommend them highly enough. I wish them well for their time in London and hope they might return here. Canelli is truly a beautiful place to stay and work and Sue is a generous and capable host. We spent two weeks here and the work was varied and very enjoyable - we fixed various plumbing and domestic issues, rolled up olive nets, pruned the huge kiwi tree, harvested lavender and spent time gardening the bountiful and extensive land. There was a… read more clear task list to accomplish and we appreciated being able to freely choose what we wanted to do each day. Sue cooked us delicious Italian food each meal and was helpful with picking us up from town and planning a trip to Nice. 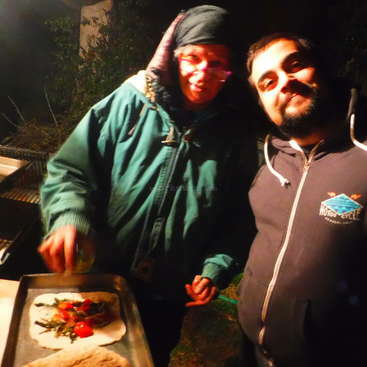 We loved making wood-fired pizzas in the pizza oven and Sue was generous to let us try our hand many times. The cabin accommodation is really lovely - set under the olive trees and is spacious and private. While Sue's place is a long walk from town and the station, it is so peaceful with beautiful views and there are bikes available to get up and down. Thank you Sue for a great stay! I very fortunate to have Emilie and Barty come for two weeks. They were a great help- intelligent, creative, good company, and conscientious. This was their first Workaday experience but I knew from their first communications that they would fit in well. They had read my profile carefully and askrd all the right questions! I was not… read more disappointed. They worked very hard and never turned any job down no matter how hard or unpleasant. They were extremely helpful to other volunteers. While here they cleaned animal buildings, looked after the goat and chickens, cleaned and maintained the swimming pool, strimmed terraces, cleared the road, and much more. It was a real pleasure to spend time with Emilie and Barty and a delight to teach them new skills (and pavlova making). They are so keen to learn new things. They have set a high standard and I cannot recommend them highly enough. I look forward to their return. This was our very first work away, and it definitely exceeded our expectations. Sue is a fabulous host, she's so generous and kind, fair with work, showed us around the area, gave us lifts, gave us tips for a trip away, cooked amazing food and generally embodies the spirit of workaway. 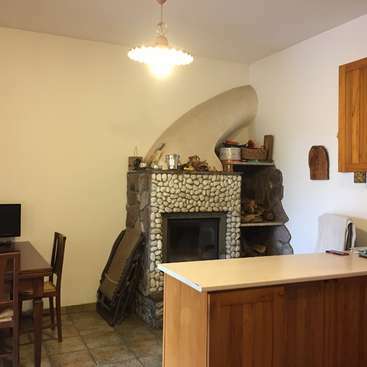 Sue's place is beautiful, set in the hills above Taggia and… read more great for hiking and cycling around, also not too far from lovely old town - where they serve the world's best ice cream from Smile. We were made to feel completely at home, it felt like we were with family and friends, and we would love to come back, and hope to very soon! You should go to Sue's if you're an upfront and honest person who appreciates being able to talk openly with a host, if you're interested in learning new skills and discovering a new part of the world, and if you take pride in a good morning of work before exploring in the afternoon. Thank you to sue for being so accomodating and welcoming us into your ligurian paradise, where the neighbours are friendly and the pavlova is plentiful! Andrew was here for 10 days and during that time I found him to be very capable, trust worthy, and dependable. He is a very competent all-rounder, who gets on with the job and takes pride in all that he does - he likes to finish whatever he starts - using his initiative when necessary. While here he trimmed all the terraces(a big job), prepared… read more the pool for summer (another big job), sorted a blocked drain and took day-today responsibility for the chickens and goat. Andrew enjoys structured work that he can get on with, is used to working with garden machinery and can be left to get on with it. He is very respectful of people's space and appreciative of what it offered. I strongly recommend him to other hosts and wish him well for his future travels. Irene and Lionel epitomise everything that Workaday is about and fully embrace the spirit of exchange. They have such a positive approach to life. They are talented, capable, hardworking and proactive and when, unsure of what I wanted, asked. They collaborate together very well. I thoroughly enjoyed their company, They are both very easy to get… read more along with and both wonderful cooks. They are appreciative and most generous. While they were here they did a great deal of cleaning and sorting of the animal sheds, tidying the site, preparing the raised gardens, planted out as well as providing extremely helpful professional advice about how we should rectify some house construction issues. Thank you for all your hard work and excellent care of the animals. Lucie will miss you! I hope you will come back one day! I recommend them without reservation. If they are in your region, do offer them a position. Mary and Paolo are a delightful couple who were responsible and reliable house sitters. I really enjoyed their company and was sorry not to spend more time with them. They will be welcome any time they wish to return. I look forward to their next visit! Meanwhile, I recommend them to other hosts. Sue has a wonderful getaway at Canelli - tranquil, peaceful setting in the mountains. We spent two wonderful weeks house sitting and a few days with Sue. Sue is a fantastic host, taking time to show us some local sites, sharing her knowledge, books etc, making sure we had everything we needed - easy to enjoy a nice conversation/good meal. The… read more cabin was warm and comfortable with it's own private bathroom - and we had some great company - local friends dropping off garden vegetables/other workaways in addition to 3 friendly cats and 4 chickens. Lots to explore in the area - cycling paths, hiking trails, local towns. A really wonderful experience for both of us...hope we can visit again in the future! This was our second WA and the experience was absolutely fantastic. The week before we were ment to arrive we had happened to be staying near Sue's so we had contacted her to say we were in the area. She invited us and our friend we were traveling with to the house for lunch, she went out of her way to drive down to the train station and meet us.… read more That's just one example of how she's always going above and beyond. We've since been at Sues for the month we had agreed on and after ended up coming back for another week. She's always made us feel at home and appreciated and has since taken us on many day trips from the sea to the mountains. The work is always fair and organized. Foods been fantastic and we are excited to bring some of her recipes back home to cook for friends and family. We've truly loved every minute here, the company's always good, Sue has some amazing friends who periodically drop by, and her Italian friends are hilarious and extremely nice, even with a language barrier you can talk all night. We also love all the pets who are clearly loved and treated with respect. We could go on and on with the positives for the only negative is having to leave. We obviously would recommend Sue as a host to any hard working animal lovers. I would not recommend a short stay as you will only be disappointed at having to leave so soon and it takes some time to learn all the day to day stuff. Thanks for everything Sue and Richard we appreciate you sharing your piece of heaven with us. The worst thing about having Stephanie and Jordan to visit is having to see them go! I loved having them and they immediately felt like part of the Canelli family. I recommend them to other hosts without reservation! They have excellent social skills and fitted in easily. I was particularly impressed at how they were able to support less… read more experienced helpers. They are both proactive, willing to do anything & fun to be with. They make a great partnership and complement each other brilliantly. They were at Canelli over three weeks and made a very significant difference - relocated the chicken house, completed a variety of plumbing jobs, watered, weeded, maintained the pool, cooked and much more. During their stay they also house sat while I was away for 10 days. The place was immaculate, plants thriving after despite drought conditions and animals really well cared for. Thank you both and keep in touch. Perhaps Grillo can emigrate to Ontario. Srdjan was a excellent helper whom I recommend highly. He is an intelligent and diligent worker, keen to learn new skills and who sets high standards for himself. He is also very responsible and looked after our place with great care in my absence. During the time here he did a variety of things including cleaning the pool - a thankless task as it… read more was in a bad state, caring for the hens, constructing concrete raised gardens, etc. Firstly I want to thank Sue for the invitation. A month in Canelli was really a wonderful experience. Sue is amazing host, very accommodating, always ready to share knowledge and ideas how to improve this little paradise that she created, in the quite hills above the Sea. She is very willing to drive you to show many places, villages in the… read more surrounding area. Excellent cook, delicious food. Sue is very well organized, she left detailed to-do-list what needed to be done during the period when she was away during the holidays and instructions about house sitting , look after chickens and cats,... In the winter most jobs was about the maintenance of the house and property and some jobs in the garden, pool and repairing dry stone walls. Around the house can always find something to be done or to be fixed and your work will be very much appreciated, Sue is very reasonable about the working time and spare time. Also I got a bicycle for exploring area, that was great! I'm very glad I had the opportunity to meet the local people, neighbors, on true Italian dinner one evening in the house. Molto bene! Thanks for your trust and for everything Sue. Hope I will have the opportunity to come back again in the summer. We stayed at Susan's lovely place for 2,5 weeks, one week house-keeping, the other one together with her. Susan impressed us by being very welcoming and fair about the working hours, leaving us the choice to work during rainy weather to enjoy our days off in the sunshine. The work was varied, sometimes hard, but fun if you like to work physically… read more and see the results at the end of the day. In the evenings we took turns with the cooking, having some nice talks - at other times we were on our own, reading books or watching a DVD. We can recommend working and staying with Sue very much and wish her and her family all the best for the future. Claudia and Markus are excellent Workawayers. They had difficulty reaching our place because of transport strikes but went to considerable effort, and I think expense, to arrive here in time to meet me before house sitting in my absence. This illustrates their sense of commitment and reliability. While here they worked very hard, were… read more conscientious and considerate and a pleasure to host. I recommend them highly and wish them well on their travels. Thank you. John was here for 5 weeks while Karen was visiting family. He was fantastic and we are very grateful for his work and looking after the property while we were away. I returned to an immaculate house, property, tool shed and completed job list. The greatest recommendation I can give is that of my neighbour Mario who was overseeing work on restoring… read more and maintaining the stone walls. This was a physically demanding job that took the best part of three weeks. Mario, a hard taskmaster, was most impressed! Nate fully embraces the concept of mutual benefit and sharing of experiences, works hard and is a most considerate guest. In the few days he was here he cleared the road (extremely hard strenuous work in hot sunshine). emptied and cleaned the pool (again a very demanding job in the heat) and helped with various other tasks. I recommend Nate… read more highly and encourage other hosts to take him in even if, like me. for a short time to support him while he continues his cycle trip through Europe. He is always welcome back here. Had an amazing 3.5 weeks at Canelli in July, of which Sue was away for 2. Sue was a wonderful host, cooking and sharing her knowledge, picking us up from town and showing us around. Having bikes was very helpful as we could see a lot of the coastline and zip around easily. Her friends and neighbours were extremely helpful and friendly, ensuring a… read more true Ligurian experience. Work was varied, from dry walling to gardening and weeding, to building a chicken coop and cleaning the pool, but very clear instructions and lots of tools to work with. All in all a wonderful time was had, thank you Sue! Kelly and Jono were absolutely great helpers. I knew they would be good from the preliminary communication I had with them and they met my high expectations. They both use their own initiative and work well together and apart. As well as being excellent house sitters while I was away - conscientious waterers, chicken minders, housekeepers, etc.,… read more they got stuck into some pretty tough jobs including impressive dry stone walling and heavy duty weeding. I returned to find the place immaculate. I thoroughly enjoyed the time I was able to spend with them. 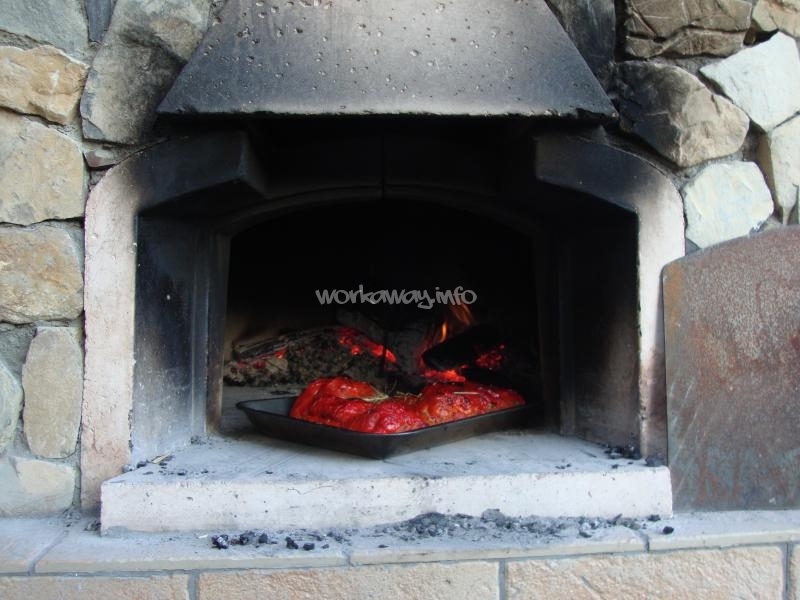 Jono produced the best pizza ever from our wood oven. They also impressed my neighbours, not easy! They are both open minded, appreciative and keen to grasp whatever comes their way so were able to enjoy a properly Ligurian experience! Thank you both, keep in touch! Melanie and Brady worked hard and made an excellent job of digging my vegetable garden despite the rain and mud! They are fit young people and I hope did ell in the Paris Marathon and enjoyed family time in France. Good wishes for your future travels! We had a great time staying at Sue's for 2 weeks in late February/early. Our accommodation was a lovely little cabin with it's own bathroom and shower which was very nice! Sue always fed us well. Her cooking is fantastic! While there, we helped mostly in the garden (weeding, hoeing, digging, etc). It was hard but Sue always checked with us to make… read more sure it was something we were ok with doing. In the afternoons, we often took the little path into town where there's a nice little bar/cafe. Sue even offered to pick us up from town later in the afternoons so we didn't have to walk up the hill. I also have to add that the view from the house is amazing! You have mountains all around you but you can still see the sea which is absolutely beautiful. We really enjoyed our time with Sue and her friend Jane (and the cats!). Thanks for everything! We stayed for 2 weeks at Canelli, and Sue is truly the perfect host. The cabin was lovely, she made sure everything was ready for us and was very approachable. She was very generous with her time (insisting to pick us up whenever we went to town), and really made sure we got to see as much as possible of Liguria - she even helped us to plan our… read more trip to Nice, and recommended some things to do and see which we really appreciated! Thanks so much for your hospitality Sue! Sue was an amazing host. From the moment she picked us up at the train station she showed us round the area explaining sites and history. She really understands the Workaway experience. We worked on a variety of projects at our own pace and enjoyed the Olive harvest from tree through production as very insightful. We easily visited San Remo and… read more Nice in france on our days off which Sue was happy to help with. Nice tidy Cabin for accomodation was great and private! Will miss our big pal Florian the cat forever. I strongly recommend Candace and Nic. During the two+ weeks they spend with me they completed a number of jobs to a very high standard. As well as proactive they also are very thorough. Between them they made stone steps, made an excellent job of cleaning and preparing the pool for winter, made a strong new clothes line, cleaned the house… read more meticulously and lots of other odd jobs. I appreciated how tidy and clean they left the place. Good luck with your travels and bread making careers! Come back again if you can. Kingsley is an excellent Workawayer. He is skilled, extremely hardworking and tidy worker. Amongst other things he designed steps and built these during the July heat wave. This required carrying heavy loads of stones, mixing concrete by hand, etc. I was particularly impressed by the way he liked to finish things regardless of the extra time he… read more put in. I found after he left that he had got up early to stake out the remaining steps. Thank you. Kingsley is also excellent company and got on well with other helpers and visitors. I hope he will return! I enjoyed hosting Giulia. She worked extremely hard, even mixing concrete when the temperature was in mid 30s, helping carry rocks and to help create new stone steps. She is very considerate, lively company. I wish her well for her future travels and career. I stayed at Susan for almost a week. It was pleasant helping her out with house stuff as Susan is very accomodating and always check with you if it's ok the job she would like you to do. Thanks for the hospitality and the opportunity to see the beautiful beachs and towns of western Liguria. Alexis is an excellent Workawayer- reliable, excellent communications and a very competent hardworker. In the week he was here he strimmed the terraces perfectly, sorted out the badly installed kitchen plumbing, cleaned and refilled the pool sand filter and mended the bicycle. He is a skilled and tidy worker. Alexis is in addition a pleasure to… read more host-appreciative, respectful of private space, good company, etc. Thank you, Alexis, and please come back if it suits your travels. A place is perfectly located in a quiet and lovely area of Liguria, it is a very good place to help since the workshop is very well organized and there is plenty to do. She is a great cook and there are very good facilities for outdoor cooking (pizza oven and barbeque). Susan is very nice and… read more she has got plenty of travel stories to listen to. 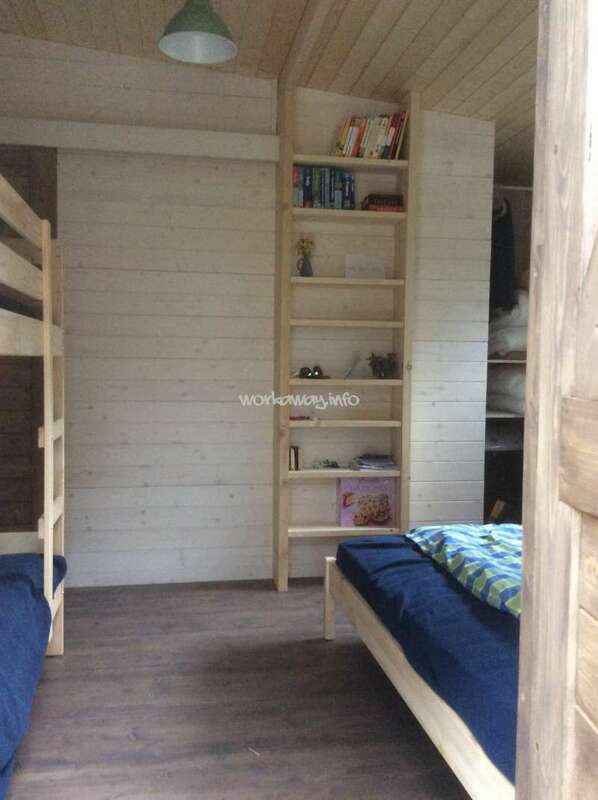 The accomodation in the wooden-made chalet is great ! A Must for people willing to help in a nice and quiet place in Liguria anytime of the year ! Claire and Simon are perfect Workawayers. They are both such positive people, focus on providing solutions and are most generous - they changed their travel plans to accommodate my dates and their time and expertise unstintingly. In the short time they were here they extended the vegetable garden, devised and installed a watering system and… read more made the garden 'wild boar'' proof. As well as lots of other gardening, mulching, strimming, tidying,etc. between them they improved the solar water heating system, improved the tool shed, fixed chain saw and kept the house immaculate. They also generously met and inducted the next young house sitter. My only regret is that I didn't spend much time with them but am thrilled that they might become neighbours. They are highly, highly recommended! We housesat for Sue but we're fortunate enough to have a few days with her before she had to shoot back to the UK when we had the pleasure of getting to know her. Not only is Sue so genuinely kind and generous, she is very organised and ensures you are fully informed and prepared for anything that might arise. It has been inspiring to share… read more Sue's passion for her home and be made to feel so very comfortable and welcome. I also have to add that Sue is a wonderful cook and ensures that you are very well fed and cared for whilst letting you crack on with work and giving you space. Thank you so much Sue, we hope to stay in touch! I was delighted that Sean chose to return after 3 years. He personifies what Workaway is about. He works hard, joins in any activity, is independent and extremely pleasant company. During his time this visit he helped relay and re-tile over drains, mend potholes and much more. Sean is proactive and I know I will discover more things he has done… read more for me. I hope it will not be so long before he returns again! This is a long overdue review but Sue is simply one of the best host's out there and my time with them this summer was a fantastic experience. My first time here was over three years ago and it was great to return again and see how the property and all the fruit trees there had developed and matured, especially the grape vine which I planted on… read more my first visit! Sue understands the concept of workaway and never expects more than 25 hours of work per week. I spent my time there clearing the terraces of weeds and repairing broken tiles on the patio. There was plenty of time to relax and enjoy all that Taggia and the surrounding area had to offer. Sue was always willing to drive us to the local beaches or further inland to explore the many beautiful towns perched on the mountains. It was great to meet Sue's friends and neighbours, cook pizza in the furno and enjoy the amazing sea view in the evening time. Thanks for everything Sue. My partner and I stayed at Sue's place a few months back (apologies for taking so long to get round to writing this). It was a fantastic time house sitting whilst Sue was away. Sue's house is beautiful and in a fantastic location for scenery, heat and adventure. We really had a brilliant time. We regrettably did not get to spend more time with Sue… read more though as we had to leave on the night that she returned. However, the short time that we did spend with Sue, we found her to be very accommodating and helpful. We loved the kittens that were about at the time (Hopefully Jacky didnt mother them to much - I hope the names Keith, Bob and Diesel stuck :) ) Such a beautiful town, with lots to visit, hopefully we can pop down again at some point. We can not begin to describe how grateful we are to Sue for such an amazing work away experience. We felt at home straight away and absolutely loved our time here. Sue went out of her way to show us around including a couple of spectacular day trips to the neighbouring towns. We loved learning Italian cooking and the range of skills that she had… read more to teach us. We loved meeting some of the friendly/crazy locals and seeing a side of Italy that we would of never seen if passing through. Sue has gone above and behind our expectations and we will definitely be returning. Thank you Sue. It has been a pleasure to host Georgia and Annabel and I wholeheartedly recommend them other hosts. I was fortunate that they so enjoyed it here and the place so suited their immediate travel needs that they stayed over 3 weeks. During that time they undertook a variety of tasks including cleaning the very dirty pool (a fithly, hot and wet job)… read more , looking after the garden while I was away, sorting the storage sheds, cleaning bitumen off reclaimed parquet flooring (not a pleasant job!) and a whole range of other things such as concreting holes in our track, spring cleaning the kitchen, clearing around trees, removing vines from stone walls - the list could go on. They are both not happy unless a job is well done. The organisation of my sheds and cupboards has never been better. Georgia and Annabel are excellent company, enjoy meeting people and learning new skills. They have a very positive outlook and as a result get the most out of what's on offer. 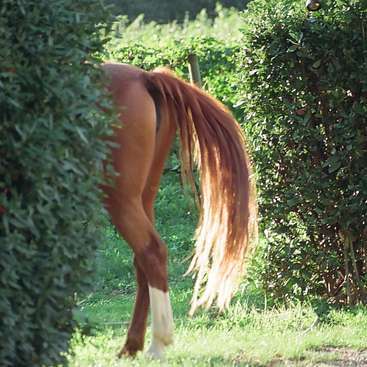 They charmed the neighbours and consequently saw a side of rural Italy most foreigners never see. I hope this will be the first of many visits. John stayed about three weeks and made a real impact. He is knowledgeable, methodical and very conscientious. He sets very high standards for himself and worked much longer hours than required. He made a wonderful job of restoring damaged drystone walls. He did a lot of other various gardening jobs including pruning, clearing up, preparing for… read more planting fruit trees. John is good company and a good balance of independence and sociability. I highly recommend him. He is always welcome to return. Thank you for everything, John. For me, Susan's place just back from the Riviera in November was a great workaway experience. Sue was the essence of kindness and consideration. We were both happy that her stonewall terracing was in better shape after my endevours. Canelli has a lovely setting/aspect ; so perched as to give the feeling of surveying the world from a comfortable… read more distance .Sue has a fine reading library ; the full use of which she generously encouraged. Like others, I see Sue as a veritable model for Work a way hosts .For the opportunity to come, help and explore the region__Sue__many thanks . This was easily the best travel experience I have had to date. Sue was very accommodating and generous, and trusted me with things I knew very little about (pools/weeding/cooking) but came to appreciate and love. Canelli is such a beautiful and inspiring place I instantly fell in love with it and found it very difficult to leave. Sue is one of… read more a kind. Anyone who takes on a workaway with her should will be privillaged to be in her company. I will definately be returning to Canelli. What a great experience! Laura was fantastic and a delight to host. She arrived when the place was far from perfect. I was so lucky to have her when I did! She immediately set to work scrubbing the pool by hand, weeding and helping clean the house. Laura has a very positive attitude towards everything. She is proactive, makes the most of the opportunities offered,… read more is eager to learn new things. She demonstrated outstanding skill and patience in helping me deal with a difficult situation. I thoroughly enjoyed Laura's company, loved teaching her Italian cooking, appreciated her considerable generosity and look forward to her return (and her cooking). I enjoyed hosting Sean and Rebecca and would have liked to have been able to spend more time with them. I very much appreciated their willingness to work hard, often on rather repetitive jobs such as moving heavy debris and branches from the land being cleared, pruning grapes, moving stones in preparation for further building, etc. They also… read more gardened, prepared the pool for winter and stacked firewood. They are both open-minded and worked hard on tasks which were new to them and tested their practical skills. They are sociable, good company and completely trustworthy and reliable. Sue, our apologies for such a late review. As I type this I am sitting in your lounge in Battersea London. I have you say you were one of the first hosts we ever contacted. We were organised to come in November 2011 but went back home for some work, we continued with trying to work in a time to come and help you as we did not want to let you down.… read more Finally after many many emails we arrived in Nice where you picked us up. After a delighful drive down the coast to taggia then up the winding track where we discovered our new home for the next three weeks. Sue served up fantastic Italian dishes to die for. Lots of laughter, food and wine made our stay very memorable, your invite to do some work in Battersea put icing on the cake for us being the last host after 18 months of travel. More excellent food here as well. It was an extremely rewarding experience for both Jacqui & I and one we will treasure in our memory bank. Thanks Sue You are a Ist Class Host. Jacqui and Rod are quite fantastic! I waited sometime for their arrival knowing of Rod's reputation in NZ as an award winning master builder. My expectations/hopes were greatly exceeded as both he and Jacqui are both such skilled hard workers who are also great fun and a real pleasure to be with. They work well together and this enables them… read more both to work to each other's strengths. Both are imaginative problem solvers who look for positive outcomes. While at Canelli they installed a kitchen - made an IKEA kitchen into an almost 'bespoke' kitchen and cleaned, prepared and laid a reclaimed mahogany parquet floor. I had no idea of what I was asking until we began! Jacqui cleaned nearly 2000 wood tiles, Rod remedied a badly 'bowing' floor and sanded and laid the tiles. The result is wonderful. In addition they did much else: Jacqui strimmed the terraces faster than anyone else has ever done; Rod checked over the house and made a variety of repairs/improvements. Rod earned the nickname Archimedes for restoring the shed roof which had entirely blown off. A series of pulleys, tree pruning and the help of a Nissan Micra restored it to the right way round on the building! He then secured it properly. All this was done the morning before they left when they had planned to cycle along the coast. I strongly recommend that any host ensures they are enabled to give their best by providing proper tools and allowing them scope to work. We cannot believe that we have beeen so lucky as to have had Jacqui and Rod for three weeks. I recommend them both without reservation and am happy to provide further references/photos of their work, etc. as required. We now hope they will come to our place in London. I had a great stay in this amazing place! The work was just what i was after - together with another fantastic workawayer Assim. The place is beautiful, surrounded by olive groves and a (semi) abandoned medieval town to explore. The weather was so good we filled the pool much earlier than usual and enjoyed it's 'crispness' after the hot days of… read more work. Sue takes care of everything you might need, and sharing the cooking fun is always a good thing - especially when you have wonderful things to put in! thank you! Charlie and Hannah are fantastic! I’ve had a lot of really good Workawayers but they are top league! My regret is that they were only here 10 days but I expect them to return. I envy any host who has the good fortune to have them pass by! They work really well together and I recommend hosts recognise their skills. Charlie arrived exactly when I… read more needed his civil engineering expertise to deal with a leaking swimming pool – now temporarily fixed with chewing gum at a massive saving to myself! During their stay they made a raised stone garden (including carting about 8 cubic metres of soil from a lower terrace, stone cladding a wall as well as a number of smaller jobs – weeding, watering etc. They are excellent company, independent, considerate and enthusiastic cooks . They and their friends/families are welcome here any time. Sue was the most amazing host and we had an absolutely fabulous time - time flew bye and before we knew it we had already completed our first Workaway. We weren't sure what to expect (as it was our first Workaway) but we couldn't fault this place and recommend it very highly - From the projects we worked on, the food, the company, the view from… read more the property, and nearby towns. 100% perfect. Sue is very fair and generous host and found projects that suited our skills and when we had spare time she drove us to neighbouring villages or picked us up from the beach. We look forward to returning as soon as possible. Ian made a great contribution to Canelli. He is a resourceful, hard worker who sets very high standards for himself. He also has a wide range of practical skills. Ian helped with many tasks over the nearly four weeks he was here. He made an excellent job of cleaning the swimming pool which had to be scrubbed with wire-wool – an exceptionally… read more long, tedious job. His attitude was simply it 'had to be done'. I am very grateful. He strimmed to terraces as well as anyone else ever has, mended the house mosquito nets, changed the shutters and did lots of smaller maintenance jobs. His DIY skills are very good. I appreciated the care he took with tools and machinery, always returning things to where they belonged. Ian, has outstanding l computer skills and sorted problems for others who were here. Potential hosts needing support with computers would not get better help- it is his specialist field. I enjoyed Ian's stay. He is generous, appreciative, knowledgeable, independent and considerate. He was very helpful when other helpers arrived and shared his knowledge of the area as well as providing wine, cheese and cakes. I wish him well for the future and hope he will keep in touch and come back to visit. Sue is definitely one of the ones setting the gold standard for hosts everywhere. So I will do my best to summarize what other hosts could learn from(in no particular order). 1)workload: Sue is looking for value here. This is based on the basic 5 hours a day 5 days a week standard, but if you have special skills that hold more value(tree… read more surgeon, carpenter, etc.) or do a particularly good or efficient job then she takes that into account and will not expect so many hours. 2)food: Sue never skimps or tries to cut corners here. My food was always to a very high standard, and she included accessory items that you may have to pay for yourself elsewhere. She believes in a fair exchange, and that the amount of work you do is worth these expenses. 3)access and location: This is a veritable paradise on earth. A nice breeze keeps you cool in the hills, and the sun heats the sand on the beach. You can easily walk to the beach or town, and many days Sue will pick you up! You will never be board as long as you are here. 4)company: Sue is a very open, honest, and welcoming person, and she surrounds herself with people in the same vein. To me this is the true point behind workaway. Thanks Sue for a fantastic month, and I hope to come back and visit some time in future. I had a great time looking after the place, I learnt alot about gardening while there and about Italy. Thank you for trusting me to look after your place and treating me like part of the family. There is so much I want to say but i dont know how to say it I think the only thing I can say is Thank you for everything and I hope to return. Amy could not have looked after my property better! I returned having left her for 10ndays to an immaculate house and well tended garden. In addition she tackled the invasive weeds and vines, facilitated a visit by the IKEA kitchen measurer, and much else. I recommend Amy highly. She is a mature, independent and totally trustworthy young… read more woman. She is thoughtful, proactive and energetic. She coped with, and enjoyed, the solitude of my place but would also fit in well with other workers. She is friendly, respectful of personal space and keen to learn new skills. She is always welcome back here. Lizzie and her friend Fritha were great volunteers - hard working, enthusiastic and really responsible looking after the property while I was away. They have a good work ethic and my garden significantly improved by their stay. Lizzie is also a good cook. I would really recommend Lizzie to anyone looking for proactive, open-minded and… read more thoughtful, considerate helper. I hope Lizzie and Fritha both return soon. It has been six months since my stay at Sue's beautiful property and I cannot stop thinking about the wonderful experience I had. The incredible view from her home of rows and rows of olive groves, the lemon and lime trees, and of course the sparkling Mediterranean ocean are permanently etched in my mind. I would recommend this trip to anyone. The… read more work was fair and pleasant, weeding, gardening, watering, cleaning the pool, etc., and was a decent workout for the arms. Afternoons were spent laying by her turquoise pool or in one of the hammocks tied to the olive trees, reading, writing, and soaking up the sun. We were given three meals a day. The food was to die for! I remember one night Sue made homemade pesto with the basil growing around the house... I have never tasted anything so delicious in my life. I wish I could have brought home 100 jars of it! Sue was a very good host, she made the stay comfortable and was very accommodating. She drove us down into the town often and even took us on a wonderful sight seeing drive. She was very good at placing us with other workawayers during our stay that became great friends! Sue was also very open to discussing her work with me as I am very interested in working with refugees and she has worked in the field of study. Thank you for the wonderful experience Sue! Jenny, Max and Meg are fantastic Workawers and it was a priviledge to host them. Jenny and Max are skilled, creative, hardworking , considerate... (I could go on). Meg is the best behaved dog I've met in the northern hemisphere and certainly on a par with the best sheep dogs I grew up with in NZ. I was a little hesitant about hosting a dog but… read more in the event wanted to kidnap her. Meg is lovely and so obedient that the presence of prevocative cats, other dogs, etc. was no problem at all. Told to leave them alone, she did. I recommend that hosts discuss work so as to utilise their many skills. 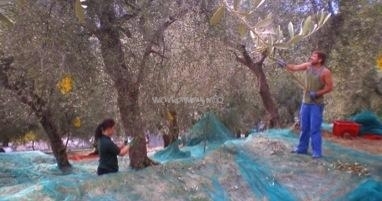 We were fortunate that they arrived soon after harvest and Max, a tree surgeon, pruned all our established olive trees. Jenny pruned the young olives and fruit trees. In addition they repaired a drystone wall, taught another helper to stake trees and much more. Jenny and Max both wonderfully open-minded, keen to have new experiences, to learn new things themselves and to pass on their skills to others . Both are keen and innovative cooks. Meal times were a pleasure both for their company and their cooking. I hope they will all return to Canelli soon. They have my wholehearted recommendation. The Tippings are a delightful family who demonstrate everything that Workaway is about and can offer. I recommend that any host grabs the opportunity should they make contct. During their stay they did a range of both skilled and heavy labouring work. They carried a huge amount of firewood up steep terraces and stacked it, cleaned and… read more maintained the swimming pool, watered and weeded and made cuttings, mended furniture and much more. Now they have left I keep finding little things which they noticed and fixed! In addition Pam sorted out my computer, set up scype, etc. and made skirts for my two visitng friends! She is a skilled needlewoman with her own sewing machine! I am only sorry I wasn't able to spend more time with Pam, Mark and Rowan and look forward to their returning as many times as they can. I am fortunate to have made such good friends. We absolutely loved our time here up in the hills above Arma di Taggia. Sue is a wonderful host, kind, generous and considerate. She provided us with lots of useful information about the area including maps, train and bus timetables. The single lane track up to the house is steep and winding and appears impassable to the uninitiated, but… read more with care and patience soon becomes routine. The views from the house across the valley and down to the sea are stunning! We looked after the house, olives, fruit trees, pool and delightful cats (plus kittens) whilst Sue went to the UK for almost 3 weeks. Sue is very easy going and supportive in allowing you to take on the tasks that suit you best. She left us a list of things that could be done but with no pressure to do them all! She kindly took us up to some of the mountain villages, which were beautiful! We plan to go back and are sure that we will remain in touch with Sue for many years to come! I wanted to mention that we have now been back to here 3 times! We feel like it is our second home! Sue invited us to come and help with the olive harvest a real honour as it is usually just close friends and relatives and she even paid for our daughter and her boyfriend to come over to help for which we are eternally grateful! We all had the time of our lives and wanted to thank Sue again for her kindness and hospitality! The olive harvest work was hard but so rewarding and the excitement of going down to the mill to see the fruits of our labour at the end celebrated by the tasting of the oil and a glass of local wine at 7am will stay with us always! We will be back! We stayed there at the same time as Toros and Maeve, and all four of us became good friends by the end of our trip. The nightly dinners outside were a highlight and always delicious!I would highly recommend visiting Sue and only wish I could have stayed longer! I recommend Maeve without reservation. It was a pleasure to host someone who so appreciated everything. During the two weeks she was at Canelli she worked hard, showed real initiative and interest in learning. She is totally responsible, mature and managed a difficult situation with tact and sense. She is welcome back any time. Hosts are welcome… read more to contact me should more information be required. I had a lovely time .. Sue was a wonderful host, and an amazing chef(with the freshest fish+veg). This was my first workaway experience. Sue made me feel at home and welcomed new ideas and input from volunteers. I shared my time there with 3 other volunteers. Sue left us for 10days to maintain her fruit+vegetable garden but made sure to be back in time to say goodbye to use all. I recommend this farm. We had an enjoyable time at Sue's beautiful olive farm. She was very hospitable and made us feel at home. There was always a great selection of food and drink available to us. At night we would all sit together and exchange our stories. Unfortunately there wasn't much work for us to do outside of strimming and weeding. While this was fine it would… read more have been great to be more involved with the olive process. All in all, a very relaxing, beautiful location (spectacular view) hosted by the very kind Sue. Thanks! 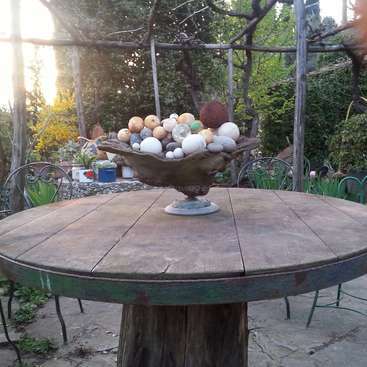 Sue is a friendly host with a beautiful property near the coast of Taggia. We often shared breakfast, lunch and tea with her (and her friends), shared cooking ideas and generally enjoyed each others company! She allows you to work as you wish and even bring ideas to the table. It's quite remote so you should be the sort of person who enjoys life away from the city, however, Sue is happy to drive you around if you want to explore. All in all a great experience - thanks again, Sue! I really enjoyed hosting Katy and Jim and recommend them without reservation. They are both proactive hard workers who set high standards for themselves. In a short time they made a real difference to the property. I enjoyed the old town near by and going into the mountains. Thanks Sue for having me and hopefully you have lots of other nice workers! Sue is a great host- very hospitable, relaxed, friendly and enthusiastic about the land! I stayed for around 2 weeks with 3 other volunteers, whilst here we helped "free the trees!" (weeding), fertilised, dug over a terrace and planted a variety of vegetables, cleaned and generally enjoyed the sunshine and gelato! Thank you Sue and good luck with… read more the future olive harvests. Firstly we would like to thank Sue for hosting us and giving us that taste of Italy that we were after. We have had such a wonderful time here, we have carried out a wide variety of tasks, mainly using our building skills, but also helping Sue with the up keep of an olive grove. Working for and with Sue was easy it was clear what needed doing, and… read more what didnt. The location is wonderful, Sue was very kind in taking us to places and showing us the area, and walking down into the town was easy too. This place is perfect for people like us who want to work and help improve a property and also want to do it in a quiet place where we can relax. We really hope to come back one day, and would love to help in the making of the tasty olive oil. Thank you Sue. Paul and Tabi are fantastic. I cannot recommend them too highly! They are qualified, knowledgeable, pro-active perfectionists! It has been a privilege to host them. They have made a substantial and lasting contribution to the property. In addition to the comments left by the host above I would like to emphasise what a delightful couple they… read more are to have to stay. They enjoy meeting people and relate well to a wide-range of people. They are discrete and considerate. I look forward to maintaining a lasting friendship with them and to welcome them back in the future. It was a privilege to 'host' the Haag family and they made a tremendous difference to our place. Albi, Katrina & Felix really fitted into life on a Ligurian hillside, put up with the eccentricities of the place & people and were wonderfully generous with their time, car, cooking, etc. They greatly contributed to the experience of the other… read more Workawayers. Felix is a delight and I recommend him to other Workaway hosts. I very much apreciate both Katrina and Albi's design input to our planning as well as their hard work and good humour. I hope we will keep in touch. We had a really fantastic introduction to workaway staying with Sue.What an adventure!We appreciated how flexible Sue was with us as a family and how she loves to share her beautiful place with others...and of course all the fresh tasty food we shared.Sue also makes a great workaway host because of her openess and honesty.We had a great time… read more contributing to the projects and feel encouraged to do more workaways. I’ve been here for a week and I’m having an absolutely amazing time. Sue, the host, really embraces the workaway spirit and is interesting, generous and also a great cook and local guide! The olive grove is a very peaceful place to be “working” and the swimming pool is great to relax in. If you’re looking for a taste of the real Italy, as well as… read more somewhere off the beaten track, but close to towns, mountains and beaches then this is the place to workaway! I’m looking forward to coming back for an olive harvest. David has been brilliant and I cannot recommend him more highly. It's been a real pleasure to have someone with his positive approach to everything. He has an enormous capacity for work - my place has never looked so good. David is very adaptable and I know would fit in anywhere. I hope he will keep contact with Canelli as he's earned a permanent… read more invitation (guest! ).